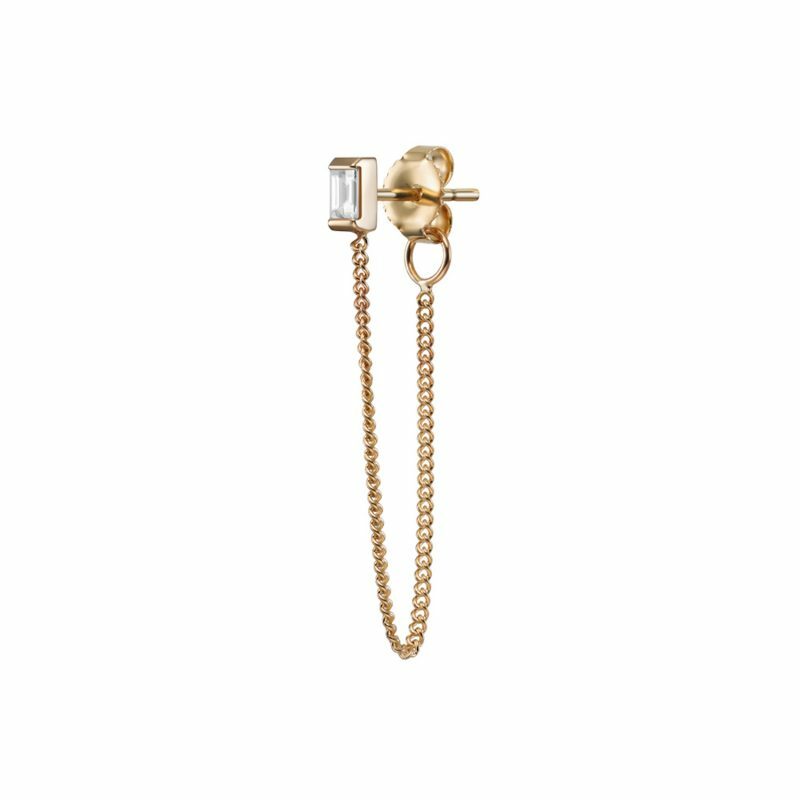 The Gaia Stud with Chain is available in 14kt yellow, rose and white gold, featuring a channel-set baguette diamond with a looped chain for a little added edge. Available in a pair or as a single. Part of the Baguette Styles collection by Selin Kent.